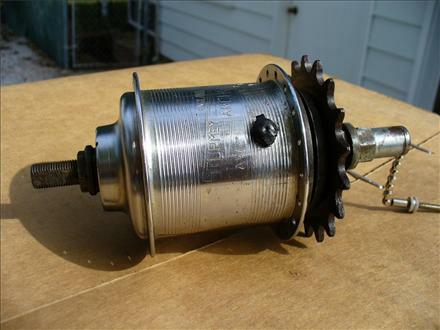 One of the most popular and common of all 3-speed hubs. The hub shell on Sturmey Archer hubs includes the month and year of manufacture as an open date code. E. g., 11 66 means November 1966. This is very useful for dating vintage roadster type bicycles.